From Wiki: Risøyrenna is an excavated part of Risøy Sundet, officially opened on 25 June 1922. Before the dredging was completed in 1922, it was possible to ride across the strait, or "Risøyvikkje" as it was called, at low tide. 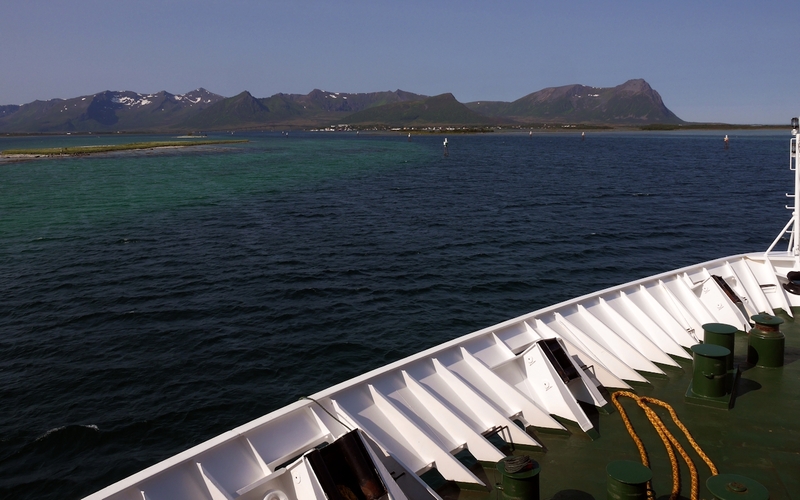 The dredging was a condition for getting Hurtigruten to sail through Vesterålen. Risøyrenna enable larger vessels to pass between Andøya and Hinnøya. Work on the final rectification began in September 1997 and Risøyrenna was again officially opened in September 2001. Renna is a narrow, artificial passage through sand banks north of Risøyhamn which is 4.8 km long, 7 meters deep and with a bottom width of 100 meters and two course changes. Before the repairs were depth 6 meters while the bottom width was 50 meters. 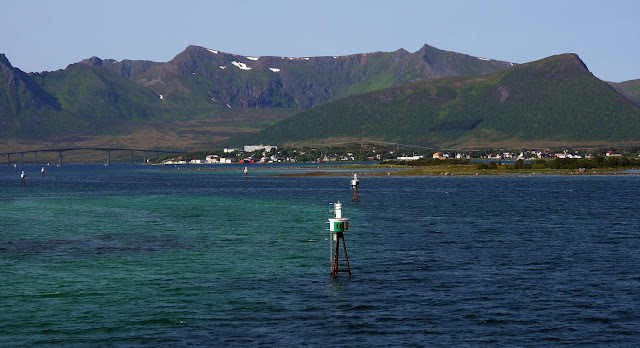 Slightly south of Risøyrenna goes andøy bridge which is a spennbetongbru with a main span of 110 meters and a total length of 750 meters crossing Risøy Sundet.